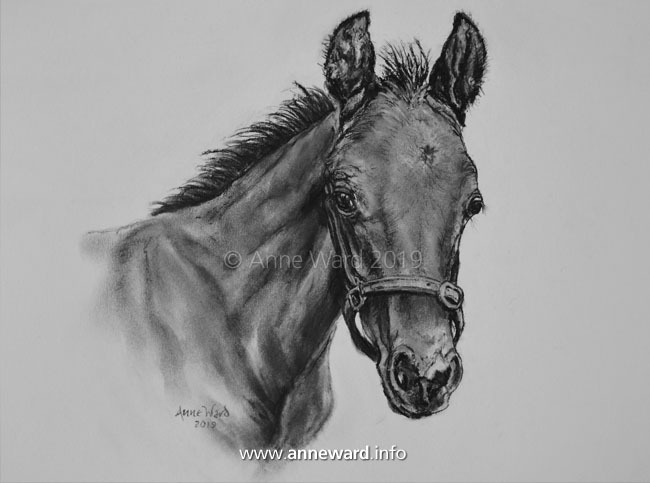 Anne is donating a framed charcoal portrait of a foal for auction at an event to be held in late spring 2019. Further details to be announced soon. 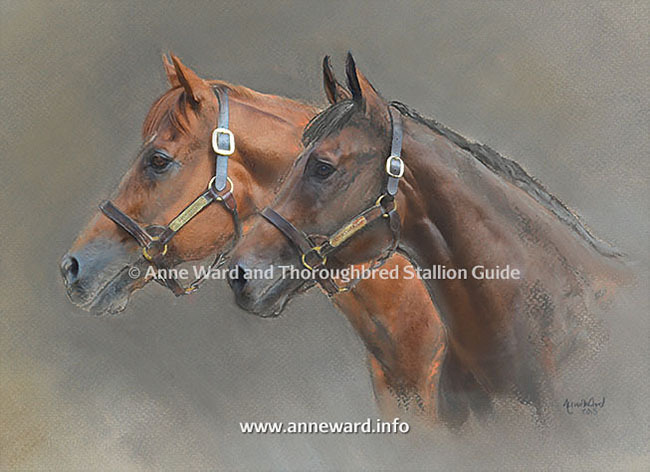 Anne’s portrait of Pivotal and Garswood was chosen as the cover artwork for the Thoroughbred Stallion Guide 2016. The Stallion Guide was published in November 2015 and circulated across the world to all registered Thoroughbred breeders, as well as having prominent placing at the major breeding stock sales in Newmarket (Tattersalls) and Ireland (Goffs). Anne was also very pleased to receive a highly favourable response to the painting from Cheveley Park Stud, who bred both stallions and stand them at stud. Why not plan the perfect gift for someone special, or just a treat for yourself — perhaps a portrait of a much-loved horse or dog? Newmarket based charitable organisation, the Newmarket Festival, asked Anne to contribute to their fundraiser featuring the rugby “Lions”, held on 25 May 2017. Anne donated a framed charcoal portrait of a Thoroughbred to the event’s silent auction. Anne donated a single animal pastel portrait to the New England Stud/National Horseracing Museum Dinner silent auction on 3 July 2014. In total, the auction raised nearly £60,000. Many thanks go to all those who placed bids. Anne was asked to contribute a commission to Banstead Manor’s stallion show fundraiser, under the watchful eye of Frankel (July 2013). Anne also exhibited work for the 3rd year in succession at the Royal Norfolk Show, 26-27 June 2013. Sunstar and The Sunstar Syndicate were undoubted highlights of recent years for Anne. 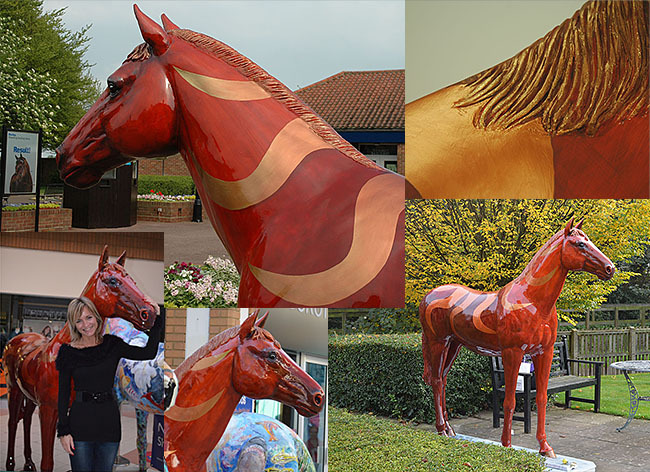 The creative process was enormously enjoyable and the sale of Sunstar raised £6,500 — the highest price obtained when each of the 13 lifesize horse statues painted by local artists was sold. The proceeds of the sale helped Racing Welfare and St Nicholas Hospice.